It is very rare to find someone who does not own a smartphone or device and even rarer still to find someone who does not have access to a computer using the internet. Mashable estimates that four out of five people currently use their mobile devices to make online purchases. This makes a mobile platform for your new e-commerce shop very important. Mobile shops give customers the flexibility and freedom to order items from anywhere at any time. What is Mobile Commerce and Why is it Important? As our lives get busier, we are in front of our laptops and desktops much less and rely heavily on our smartphones, tablets, and e-readers. These are easy to carry around, and we are more likely to take them with us when traveling since they do not take up much room. Mobile commerce shopping cart features by Shopify offers customers the ability to shop in your store via these devices. This guarantees comfort and ease for the customers while they shop. While out in physical shops, customers may search for items online to see if they can get it elsewhere at a cheaper price. Generally, most sites that offer mobile commerce will be able to beat the prices of a physical shop because the e-commerce shop owners will not have to pay overhead. Many shoppers are more likely to buy more that just that one item from your store if your prices are what they want. In just a matter of minutes, they can do all of this while standing in the physical store of a competitor and soon their items will be on the way to their front door. Mobile Commerce: Who is the Main Target? Millennials are the ones who are most likely to use mobile commerce, as they are more technologically savvy and use their mobile devices for everything they possibly can. 95% of millennials interviewed during the holiday season in 2012 were planning to use online shopping for all their holiday shopping needs. Researchers believed that of that 95% approximately, 88% would use their smartphones or devices to make holiday purchases. As time progresses and technology advances, this will become increasingly true each year. This makes mobile commerce imperative when you are creating your e-commerce shop, making your site not only available to those on their computers, but also those who are out traveling and relying on their smartphones. Millennials also desire ease when it comes to shopping. Going to places such as the mall or other locations are less appealing than they previously were. By shopping online, Millennials are able to avoid all of the crowds and hassle of a department store while finding the exact things they want. Commerce and marketing in the mobile world are two distinct elements. While commerce is about creating online shopping availability, mobile marketing refers to advertising via a mobile device or creating a campaign that uses mobile devices. Many companies have seen tremendous success when it comes to this type of advertising and are seen as being more successful than traditional marketing. Researchers believe mobile marketing is more successful because customers are more likely to buy something the instant they receive an offer or see an ad on their mobile device. While you are setting up traditional advertising campaigns for your shop, consider making a campaign that implements mobile marketing. By adding this to your campaign strategy, you are able to take the necessary steps into the future of advertising and will have a good current business model. There are studies on both sides that report about the importance of social media when it comes to your e-commerce shop, but it should be noted that mobile commerce receives the majority of sales from social media sites. Users of social media spend their time on smartphones and are generally on the go. If customers see an offer for your store on a social media platform, they are more inclined to click on the link, head to your shop and browse. This creates the potential for the browser to become a customer and purchase the offered item along with purchasing other items, as well. Customers may never have found your site had it not been for social media access, showing just how important social media advertising is for your shop. When creating your shop, consider how it will be viewed when someone accesses it on his or her mobile device. If the site is not mobile friendly, people will get frustrated and move on from your shop, whereas having a streamlined mobile format will keep visitors on your site and turn them into customers. With the high amount of differing devices, you will need to consider how your site will look on all of the devices. You can have a responsive design for your site, which will read what type of device is being used and change your layout accordingly. It can help you because it is difficult to keep up with the trends as the amount of mobile devices continues to grow and become available. Create content that works for mobile users and traditional online shoppers alike. By keeping your content current, you will be able to establish an understanding with customers, which they will appreciate. Also, keep your content brief and to the point, as mobile users are on the go and do not want to have to wade throughout a lot of information to shop. If they have to wade, they will wade right out of your shop and not return. 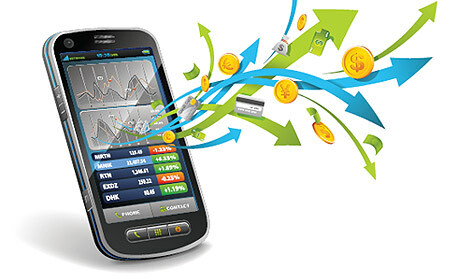 Mobile commerce is a great to utilize for your e-commerce store. By making your site available on a mobile device, you will be opening the doorway to more customers and more sales. Consider making marketing campaigns that involve your mobile store and encourage users on social media to share your shop with their network. It will be a great way to build your company up and great a successful business endeavor!